We provide top quality hardwood floor refinishing in Glen Burnie, MD and the surrounding areas. We’ll take those tired floors and restore the beauty that’s still buried in them! We’ll improve the look of your home with one quick 1-2 day value adding service. Consider Fabulous Floors Baltimore for our dedication to customer service and continual training and improvement of our employees. You can trust the Fabulous Floors name! Call today to schedule an appointment or get a free price estimate. Our representatives are to answer any questions or concerns you may have. When the Fabulous Floors Baltimore representatives enter your Glen Burnie home, you’ll see us thoroughly inspect the hardwood floors. We’ll make note of rough spots we should give extra attention to when sanding your floors. 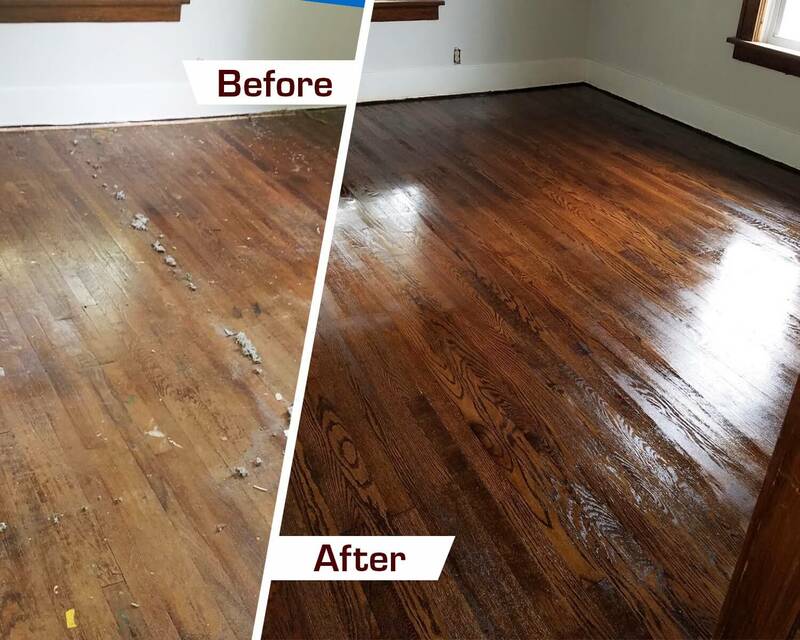 We’ll use our heavy-duty, yet gentle sanding equipment to remove the existing stain and get rid of any scratches and scrapes that may have developed on your hardwood floors just as a result of daily wear and tear. After your hardwood floors are perfectly smooth, you can consult with our representative to determine a new stain color or one that best matches your wood floors. We have a huge selection of stain colors to choose from, so you’re sure to find something that fits your taste. Finally, after the last stain coat has been applied to your floors, we’ll apply a thin coat of our signature polyurethane treatment to add a little gleam and some extra protection to your floors. Bring back the beauty of your hardwood floors today!